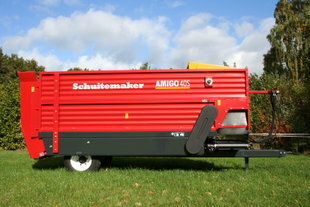 Block wagon - Amigo | Schuitemaker Machines B.V. 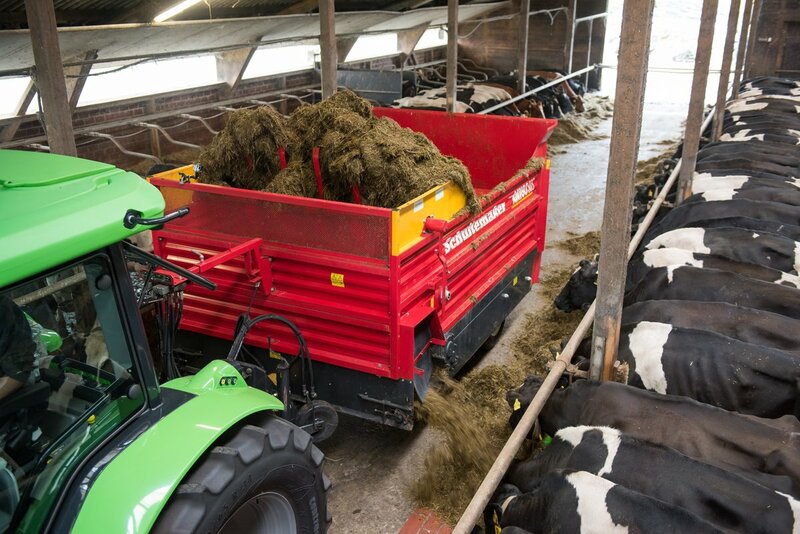 The Amigo block and bale feeder wagon is particularly suitable for silage feed and maize blocks as well as for loose material. The Amigo is available in three models: the 'regular' the S and the W model. The Amigo 20 is the smallest in the range and is available as a 'regular' and as S model. Both machines can hold 3.5 m3 (DIN) with a loading capacity of 2,000 kg. 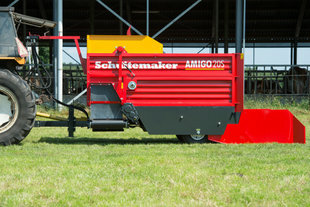 The cutters of the Amigo 20 S can be mounted onto the distribution roller. The Amigo 30 is a middle-class wagon in the range and is available as S and W model. Here, too, the cutters of the S model can be mounted onto the distribution roller. 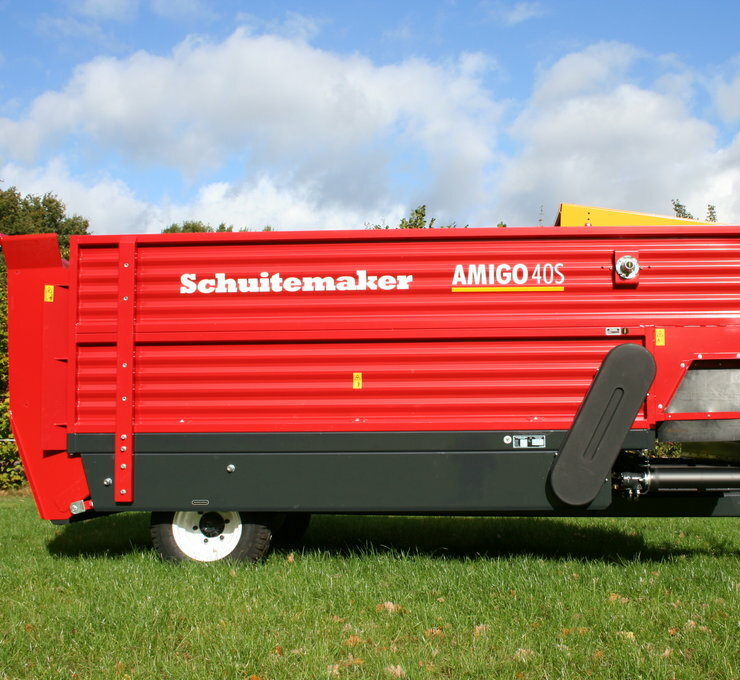 The Amigo 30 W stands out for the extra spindle beater, rather than the (patented) Schuitemaker rack. This spindle roller is most suitable for cut materials. These Amigo models also allow the mounting of a weighing system. The Amigo 40 S is the largest of the range. 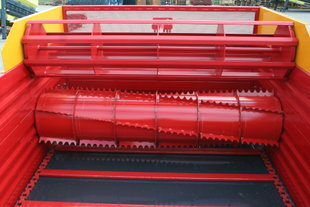 This block and bale box feeder comes standard with two beaters, so it can also be used as feeder wagon. This machine also allows the mounting of cutters on the lower beater and the fitting of a weighing system. In addition, various options are available for all models. More information about the Amigo? Click here to learn more about the Amigo.